This post illustrates how difficult it is to time the market and how strong our survival instinct is, which often leads to sub-optimal trading decisions. After peaking on Friday, Jan 26, 2018 (click here to review the market condition till Jan 26), the market started to decline gradually the following week, gradually at first then rather abruptly on Friday, Feb 2. VIX also rose significantly on Feb 2. Imagine yourself watching the market at 3 pm on that Friday – what would you think? Were you tempted to buy to catch it low or sell to stay safe? I didn’t know what to think. On the one hand, the economy was strong and there wasn’t any real crisis like the subprime mortgage; but on the other hand, it was very concerning that VIX went up to almost 18 during the day, especially considering that it had hovered around 10 for a very long time till mid-January. On Monday, Feb 5, 2018, after running the mock town meeting at the local middle school, I spent much of the day watching the market unfold, literally holding my breath. The market went down sharply and VIX shot up like crazy. By 2 pm, I couldn’t help but get really scared. I started to unload around 3 pm, amid the worst selloff in recent memory, knowing all too well that the market was in a vicious feedback loop, and much of the drop was irrational and would most likely recover shortly after. It really shows how vulnerable we are when our emotions come into play. Countless others did exactly what I did, plus even more algorithmic trading at much larger scale. So I contributed to the precipitous fall around 3 pm when the Dow Jones index dropped 1000 points in 15 minutes; did you? Despite all of that, I felt good about my decision. It was a loss I could handle and I needed the peace of mind. The only accounts I didn’t act on was my children’s 529 college funds due to some restrictions. 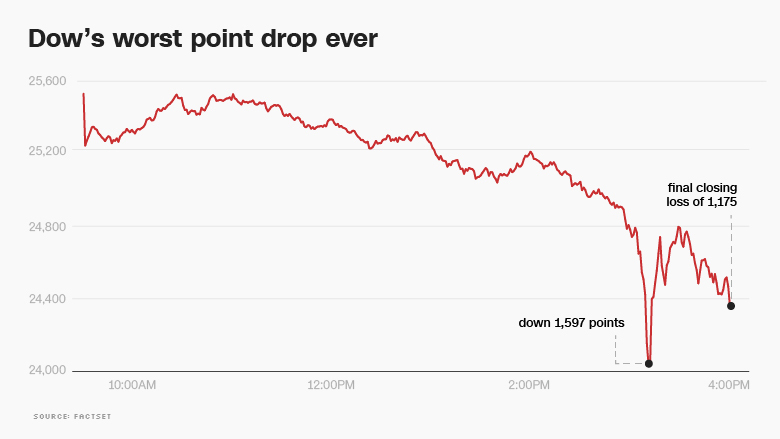 Tuesday, Feb 6th, rolled around, and the Dow Jones index plunged more than 500 points at the open. It fluctuated through the morning till early afternoon and the volatility remained high (it hit a two year high). I felt even better about my decisions. But it rallied after 1 pm, making Feb 6th one of the best trading day since 2016.